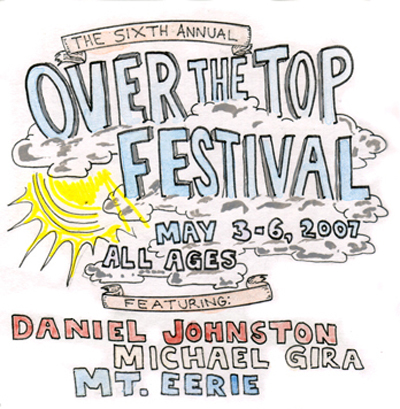 If you are in Toronto this weekend, be sure to buy tickets to the Over The Top Festival. In its six year, the festival has grown to host over 20 shows at 7 venues, over 4 nights (May 3-6), now with film, theatre and visual art. Great lineup to. Daniel Johnston, Matt & Kim, The Meligrove Band, Page France, Hylozoists, Julie Doiron, The Fancy Claps. The list goes on. Concert goers will be making tough choices on which show to hit. Check the schedule here. A friend recently turned me on to Rich Aucoin (not this guy). Check him out, great songs there (which you can download).